A healthy twist on the classic fig newton cookies, your entire family will love these no bake fig newtons energy bites that are naturally gluten free, vegan and paleo-friendly. The perfect on the go snack! We were never a big dessert family growing up. Perhaps it explains my lack of sweet tooth as an adult but the only “dessert” we regularly had on hand were dried apricots, dates, fresh apples or raisins. We were more likely to end the evening with Sleepy Time Tea than a piece of pie. As much as I adore those little cookies (fruit and cake!) and the childhood memories they bring back, the minute I see the 25 ingredients (!!!) listed on the back of the box, I am quickly reminded that there are certain aspects of my childhood I don’t wish to repeat. The good news is that my no-bake version doesn’t require you to turn on the oven and is jam-packed with sweet fig flavor. My sugar-loving husband and toddler made a bee line to these beauties and couldn’t stop eating them which is always a good sign. 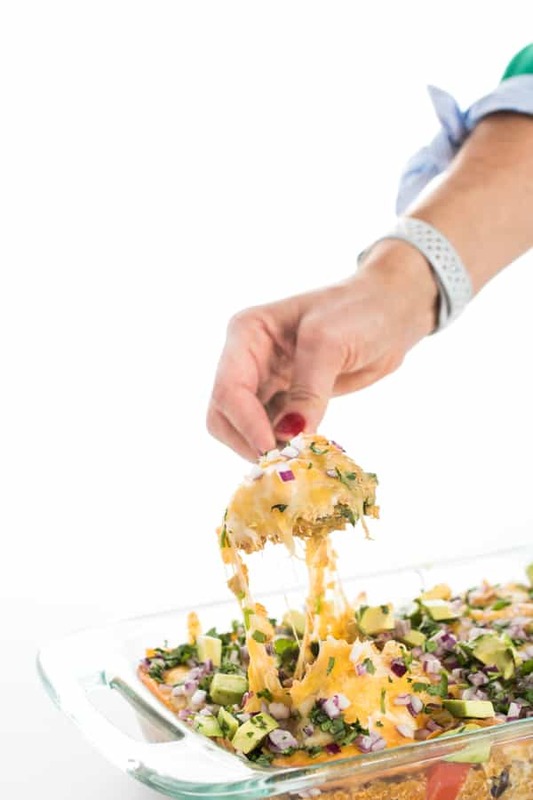 As an added bonus, each bite is full of heart-healthy omega 3 fats from the walnuts and flax seed plus a good dose of protein to keep blood sugars stabilized. Figs are also an excellent source of fiber, potassium and B vitamins. What is your favorite childhood cookie? I’d love to hear from you. A healthy twist on the classic fig newton cookies, these no bake fig newtons energy bites that are naturally gluten free, vegan and paleo-friendly. Place all ingredients in a large food processor and pulse until finely chopped, almost the consistency of sand. This may take 4-5 minutes. Remove blade and put aside. Scoop mixture out one at a time using a small ice cream scoop. Form mixture into balls by rolling in between your hands. Enjoy room temperature or refrigerate in an air-tight container for up to 7 days. Don't be afraid to press the mixture tightly together with your hands when forming balls. As the heat of your hand warms up the mixture, the natural oils in the walnuts will release helping to bind the balls. Want more delicious portable summer dessert ideas? Check out these tasty recipes from my friends in honor of Food Network’s #SummerSoiree! Easy, quick and tasty. Next time, I will add a bit of shredded coconut. Thank you. What can I use instead of flaxseed meal? These are fantastic! Fig Newtons are definitely one of my childhood favorites, and I never thought I could recreate their ‘essence’ so easily – thank you! Yes!! I’m so glad you enjoyed them!! These are AMAZING! I plan on these for my goto snack for the week. Thanks so much for posting! I am so glad you like them!!! If the birds don’t get to them first leave your ripe figs on the tree for a couple of extra days and they dry on the vine. When Im at fig capacity that’s what I do then later pick dried figs ready for snacking or storage. I am trying to make these now and it seems like a whole lot of figs. 3 cups?!?! Anyway, I have been pulsing my food processor and mixing in a bowl all of the ingredients and it seems to be all fig. Am I doing something wrong? No that is correct… it should definitely have a strong fig flavor as it is supposed to taste like a fig newton. Feel free to get creative though and change up the ratios! we don’t have Fig Newtons in Australia, but I’m tempted now to track down some dried figs to make these tomorrow! Let me know what you think Lisa! I made these but used apricots and cashews instead of figs and walnuts and they turned out wonderfully! Thanks for the recipe. Get our facts right; you made typical condescending reporter’s misrepresentation when trying to make the name of Fig Newtons sound more politically correct when you said: “(PS: Did you know they aren’t called fig newtons anymore? They are now called Newton Cookies – fig flavor. Who knew? )” No they are not called that, at least not by th manufacturer on their boxes. They are indeed called Fig Newtons and a check with Nabisco will confirm such as would a trip to a supermarket or grocery store. Hi Glen – They are not called Fig Newtons anymore and you can read more about that decision here: http://www.snackworks.com/products/newtons Either way, I am sorry if my post hit a nerve with you. I certainly didn’t mean for it to do so. Have a great day! 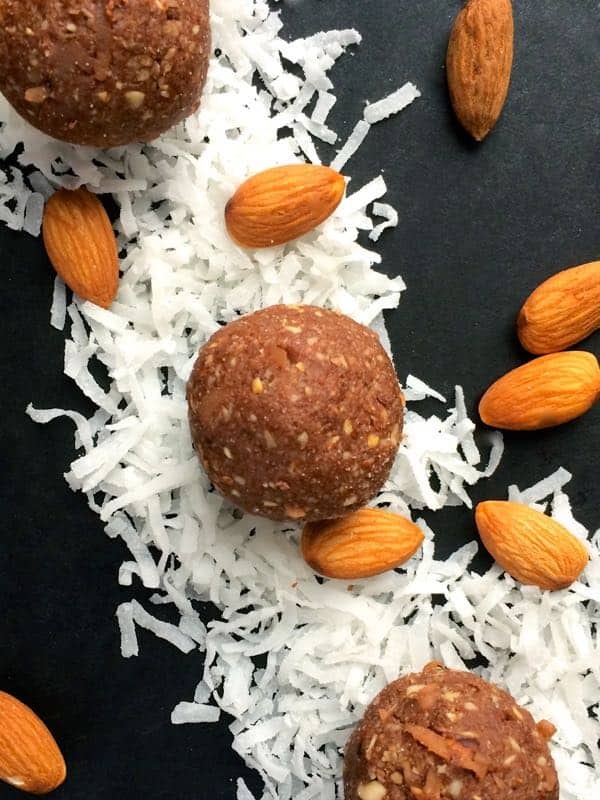 Do you think Almonds, Cashews or Peanuts would work in this recipe? I’m allergic to all other nuts. These sound yummy! I’ve never tried it with those types of nuts Joanne but I am guessing cashews would work perfectly! Joanne, I used slivered almonds. They turned out great! I may try to add coconut also next time, just for something different. These sound good! My favorite cookies were called Golden Fruit. Garabaldis in England. I can’t find them any more! Fig newtons were actually my least favorite cookie growing up…but I think that’s because I had a sweet tooth the size of Texas. 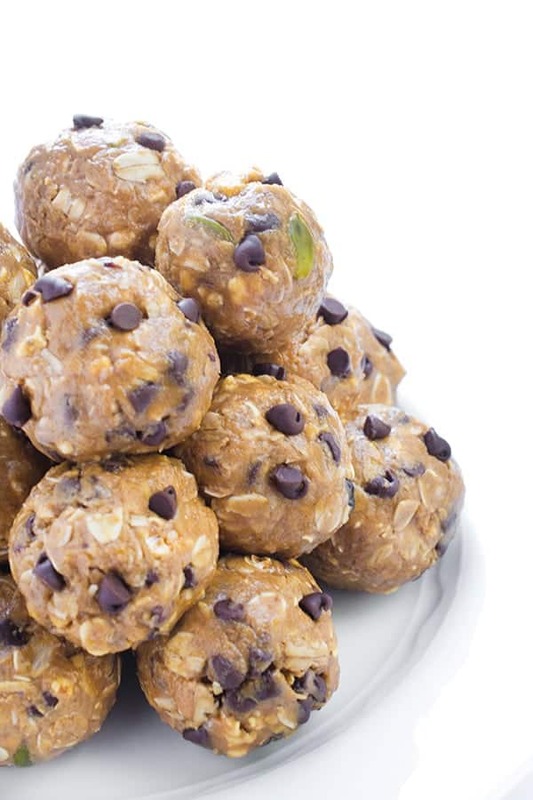 As an adult I ADORE dried fruit and these little no-bake bites sound super! Perfect for getting a burst of midday energy. Ohh! These sound really good! I used to love fig newtons, but I haven’t had one in ages. I love that these are already gluten free and a good grab and go snack. Trying soon! I hope you like them Annie! Fig Newtons were pretty much my favorite cookie as a kid, so these look super delicious to me!!!! Aren’t they just the best?? Let me know if you try this GF version! I kind of puffy heart love you right now!!! These are awesome! I always loved eating Fig Newtons growing up, but you just made them no bake and cute little balls. Love it! Awww I puffy heart love you too girl!!! Enjoy!! These look like little bites of heaven!!! Love figs!!! So do I Robyn!! Enjoy! I have a fig tree and have dried figs in a food dehydrator. Would those work or not? Seems like all you would have is a powder with no binding agent. These fig newton bites sound really fun! Thanks Kevin! Have a great weekend! Oh man – Im sorry!!! haha They are guilt free! Man, I loved fig newtons too. Is there any nut-free alternative you can think of? I’ve been trying to think of something to use as a substitute but can’t think of anything. Maybe dried oats? Thanks for the inspiration! I’ve never experimented with a nut free variation, I’m afraid. 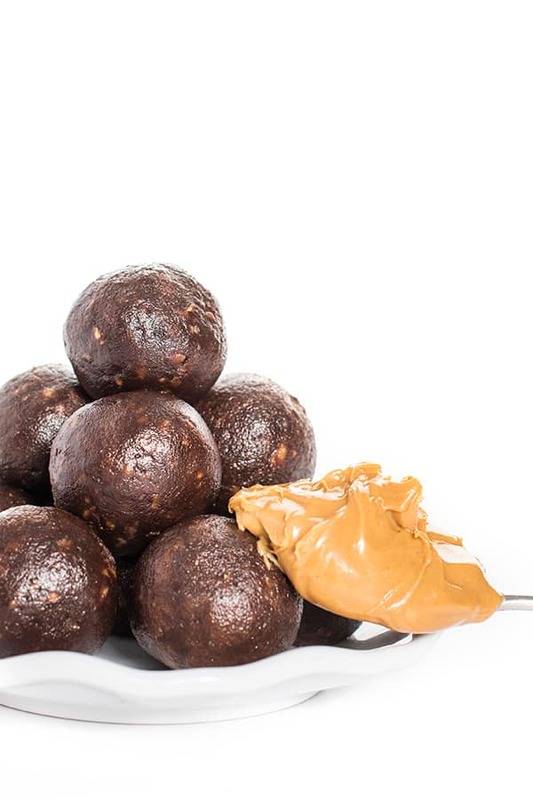 The oils in the walnuts help bind the balls similar to peanut butter in other energy ball recipes. If you come up with something will you let me know?? I just made these with dry roasted sunflower seeds and they were perfect. I don’t much care for the taste of raw, but I bet they’d work too. If not, a little honey to bind. Your creativity is just mind blowing, Liz! This is BRILLIANT! Great healthy snack! Love it! I remember fig newtons. This looks like a great alternative. Pinning it. Oh how Fig Newton’s or (Newton Cookies!) take me back as well! They were always in our pantry…now a days, I am like you and steer clear of long listed ingredient lists. Can’t wait to make these and relive a childhood fav! haha Newton Cookies just sounds odd!! :) Let me know what you think! Liz, we love recipes like this. So portable! But, wait…not called fig newtons anymore?!?! haha I know can you even believe it?! Awesome! Love how they’re no-bake, I could use that this summer. :) I am a fan of fig newtons, I’ll have to try these sometimes soon! I am all about no bake in the summer!! Could I sub oatmeal for the flax seed meal?